Are outdoor kitchens going green with solar powered accessories? Are outdoor kitchens the latest thing to go green? Call it a trend, a gimmick, or craze, but everything is going green these days. From hybrid cars to wind-turbines, one doesn’t have to look very far to find the latest “green” product. But going green with a grill in your outdoor kitchen? One company thinks so. 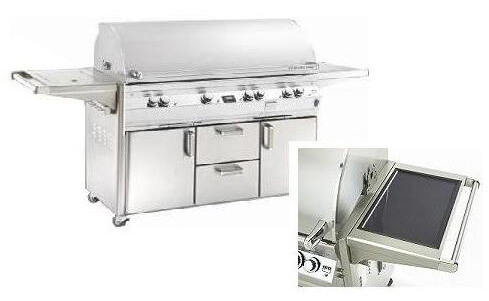 R.H. Peterson’s Fire Magic grills come with a unique solar panel that powers internal lights, the rotisserie motor, and the ignition. While this may sound like a silly option for your outdoor kitchen, there is a practical side. As more homeowners are adding outdoor kitchens to their backyards as an add-on to an existing home, issues such as running electrical service to backyards can represent another hurdle to completing your dream outdoor kitchen. So why not solve the problem with free energy from the sun? It sounds like a good idea to me. 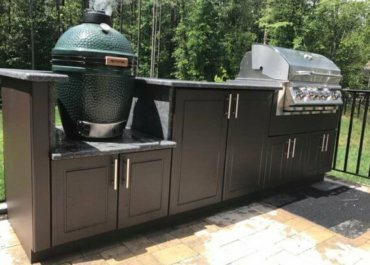 Plus, what a better way to justify your new outdoor kitchen… it’s green!